No sewing so far this week but I hope to change that today after work. I did finish knitting a tiny pair of socks for one of the grand babies that will soon be here. I made a tiny pink sock earlier that ended up way too small. I decided to turn it into a tree ornament for my daughter. I keep thinking she will have a girl though I have nothing to base that on. They will find out in late January. I haven’t been knitting much lately but I think I need to start a new pair of socks to work on over the holidays. Linking up with Live a Colorful Life for Really Random Thursday. 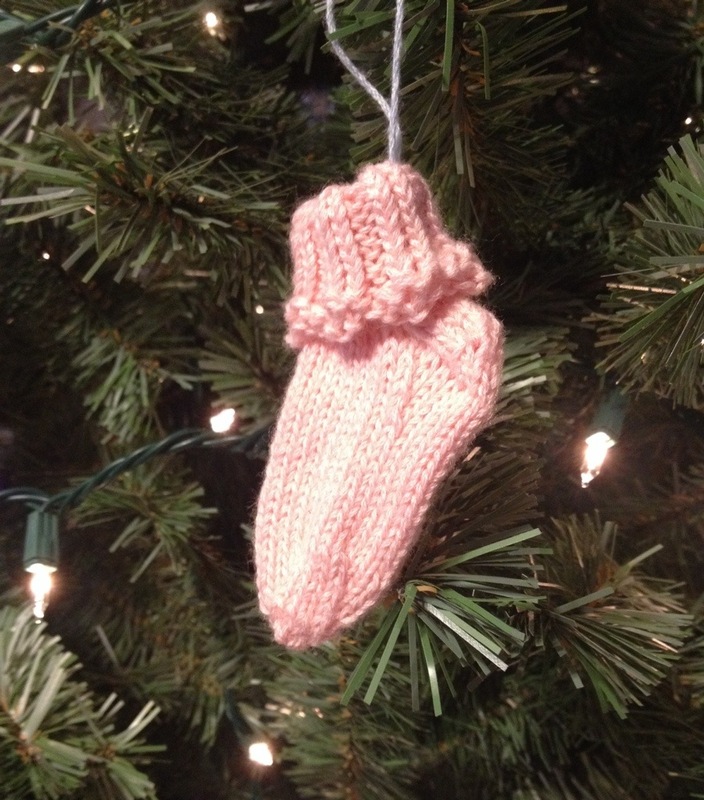 This entry was posted in Knitting, Socks, Uncategorized. Bookmark the permalink. 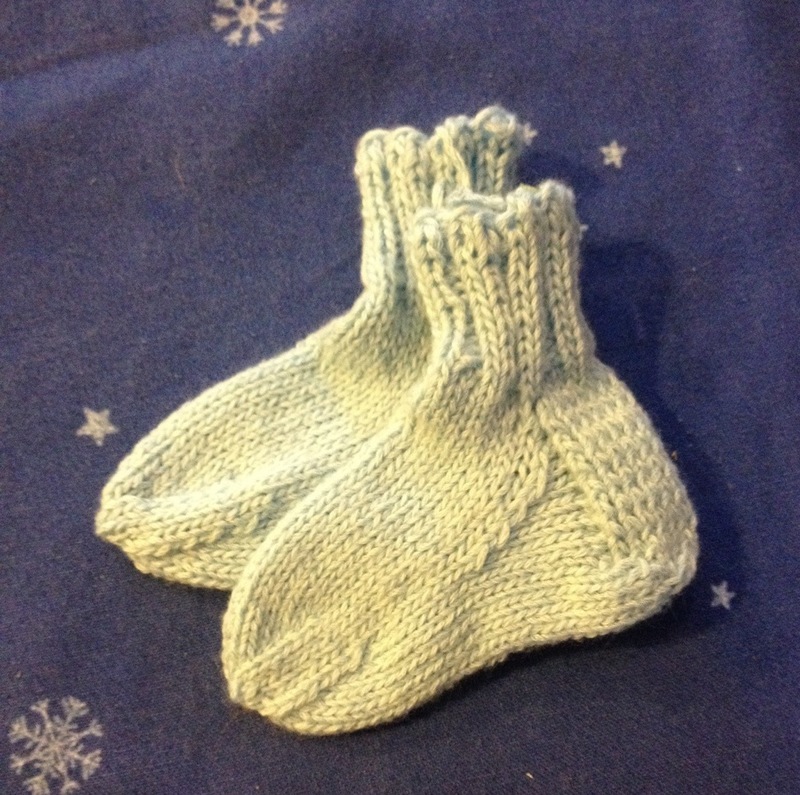 Oh, nothing as cute a tiny pair of handknit socks. What a lucky grandbaby! My goal is to learn to knit socks but after all the mistakes I made on the honey cowl I’m a little discouraged. Your yellow socks are adorable.